What a great book. I was gifted a copy of this a few weeks ago and truly enjoyed reading the stories. 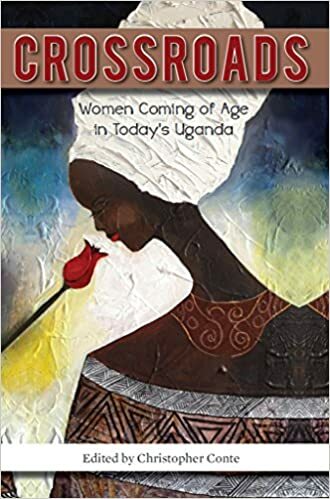 “Crossroads: Women Coming of Age in Today’s Uganda” is a collection of essays by women of various ages and areas across Uganda. These stories are somewhat foreign yet several of their experiences are familiar despite the different circumstances. I greatly enjoyed the stories where I could relate to how the women reacted to the changes as they grew from child to adult. It’s quite amazing how quickly change happens throughout a lifetime. It’s also somewhat surprising to realize how much hasn’t changed. The essays about the challenges of relationships, both hetero- and homosexual, changing education methods, religion and spirituality, dealing with sexual assault and the evolution of gender roles will seem familiar to many western readers. On the other hand, essays about hiding from militants during a civil war, the downside to NGO’s or charity from the “west”, extreme poverty and the pull of ancient African spirituality may seem farther away than just across the ocean. All in all these stories shed a bright and optimistic light on the continually changing roles of women in Uganda. In the theme of individual empowerment, no matter how slowly we move forward humanity will continue to evolve and progress is unstoppable. –If you enjoy reading about life, progress and change I recommend this book. –If you want to learn more about the world and see how women’s rights and roles are changing you should definitely read this book. –This book would be a great gift for any feminist, young or old, male or female.